Brick is one of the most common architectural elements in our world. From accent to structure, it can be used on nearly every surface of a building and provides designers with a wide range of decorative options. When used as a flooring surface, brick faces particular challenges, which it handles with varying degrees of success. However, when properly cared for, it can be used in nearly any location and can last for decades. Made mostly from clay, shale, and kaolin, brick is comprised largely of natural materials. Brick for interior flooring is thinner than regular bricks used in walls and structural elements. It also has a smoother, less porous surface. 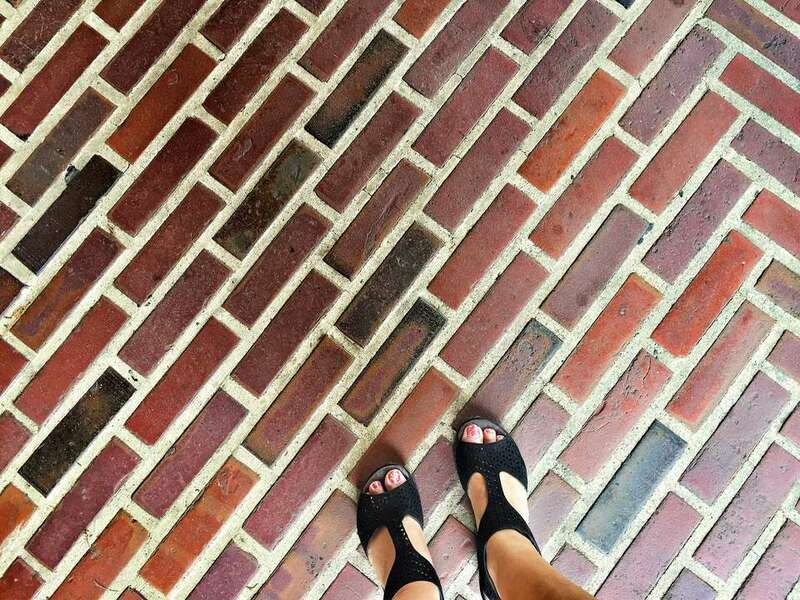 In fact, indoor brick pavers are more like tile than they are like construction bricks. Most brick pavers also install just like tile. They are laid into a bed of thinset mortar, and once this dries, the spaces between the bricks are grouted, as with tile. Some flooring bricks come in sheets, much like mosaic tile, that are installed in mortar and can be fitted together in different configurations to create custom patterns. As of July 2018, brick pavers range in cost from about $5 to $20 per square foot, depending on the specific type of material. This does not include installation. Professional installation (and installation materials) can easily add $500 to $1,200 to the total cost. The main advantages of brick flooring are similar to those of ceramic and stone tile. Brick is a highly durable material that is not easily damaged by the rigors of a busy household, pets, high-traffic or frequently moved furniture. Brick's hard surface makes it easy to clean—with a quick sweep or vacuuming—and it doesn't harbor dust and other allergens like carpet. Because brick is noncombustible, it's a good choice for flooring under or near woodstoves and fireplaces, where brick is traditionally right at home. As a bold design element, brick is hard to beat. It adds visual warmth, texture, color and eye-catching pattern all at once. The durability of brick has a flip side: hardness. It's no more comfortable underfoot than tile, stone, or concrete. And as with these other hard materials, brick can be cold on bare feet in winter (although it makes a good surface above in-floor radiant heat). Hardness also means you have to worry about dropped objects shattering on impact. Because brick is made of clay and is grouted with cementitious mortar, brick floors are highly susceptible to stains unless they are properly sealed. In most cases, sealer should be applied soon after the flooring is installed, and it should be reapplied periodically to maintain protection for the life of the floor. There are two general types of sealers for brick floors. Penetrating sealers soak into the brick, leaving most of the surface texture and original coloring intact. Film-forming sealers (such as acrylic or polyurethane) create a coating over the top of the brick, resulting in a slicker, shinier surface that darkens the brick's color.